Perfects and protects with sheer, healthy color. How to use: Smooth over skin after applying your La Mer moisturizer. Avoid eye area. For an even more perfected look, apply as a primer under the Soft Fluid Long Wear Foundation SPF 20. 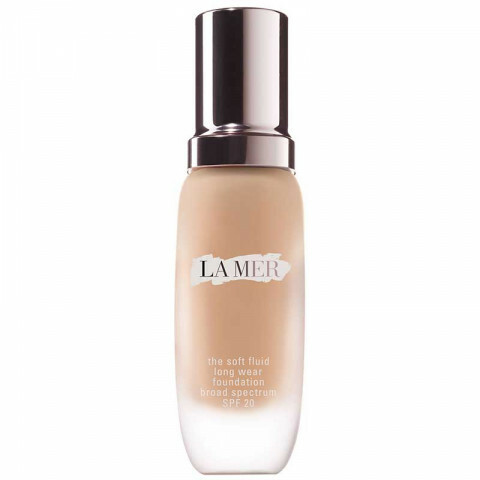 This foundation works great with the La Mer cream as a base, melts into the skin! medium to full coverage foundation that looks just beautiful on the skin. melts into my skin and does not look or feel heavy. looks lovely all day long. love that it has spf too! This is one of my most favorite foundations in my collection. The finish and color is very natural and wears so natural on my skin. As I am getting older I am appreciating foundation with skincare benefits an I am very happy with the Miracle Broth. It leaves my skin hydrated and very smooth by the end of the day. This sets my standard very high when trying new foundations. This long-wearing foundation has a way of improving the look of your skin throughout the day. At the end of the day, my skin looked more wonderful than when I first applied. Less is more with this foundation. You don't need a ton, but you can layer over the parts that need more coverage. When I took off my makeup my skin was as radiant as ever! When I was color matched to this foundation I immediately fell in love. It sank into my skin and looked just like my skin. The scent is strong at first but dies after awhile. It is long wearing with a satin finish. This has buildable coverage and can still continue to look like skin. this foundation is incredible. it is undetectible on the skin, yet provides medium coverage and imparts a healthy skin glow that is so hard to describe. there is no sheen, you just look healthy and naturally radiant. flawless without looking made up, your skin transform to that of a 19-year old....and i am 37. it glides on so smoothly, this formula is hard to mess up. i use a beauty blender with it, and have found that the coverage and finish last at least 10 hours with only minimal powder touch up needed ariund the t-zone (combo/dry skin). this truly stays fresh all day with no creasing, settling in pores, or emphasis of dry patches. i didn't want to love it at this price point, but i will keep this and repurchase when i run out. game changer.